A SpaceX Dragon spacecraft arrived at the International Space Station for its second cargo delivery after having resupplied the Station back in 2016. 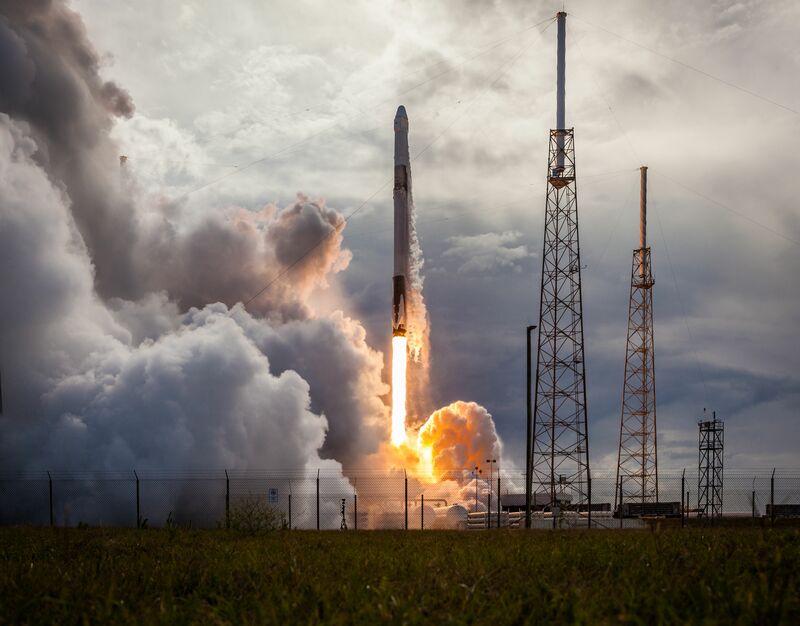 Enjoying a flawless ride into orbit atop a flight-proven Falcon 9 on Monday, Dragon continued its rendezvous in textbook fashion and arrived on the Station’s doorstep on Wednesday for a robotic capture by Canadarm2 to mark the beginning of a month-long stay. SpaceX’s 14th operational mission to the International Space Station is the second to employ both a previously flown Falcon 9 first stage and Dragon spacecraft, re-using the C110 spacecraft that spent 33 days in orbit as part of the CRS-8 that delivered over three metric tons of cargo to the orbiting laboratory including the BEAM expandable module that remains attached to ISS to this day. 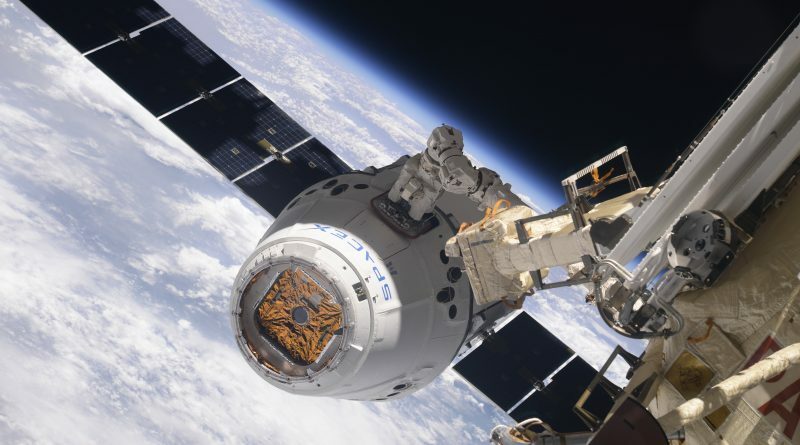 NASA and SpaceX have agreed to fly out the remaining missions under the first Commercial Resupply Services Contract using previously-flown Dragons since the cargo version of the spacecraft was built to complete up to three missions per pressure vessel. The C110 spacecraft was the first Dragon to employ additional shielding and water proofing on its avionics section to avoid some of the post-landing water intrusion that previous missions had suffered from. 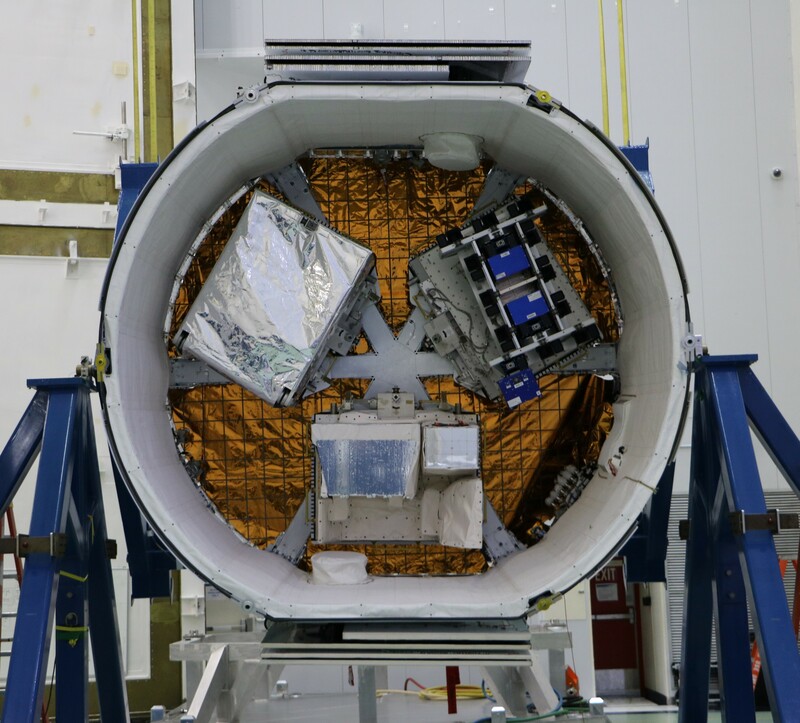 This move appeared pay off as SpaceX noted only very few refurbishment steps were necessary between the CRS-8 and 14 missions, including the replacement of the heat shield and thermal protection system as well as one-use components like pyrotechnics and parachutes. Falcon 9 carrying the C110 spacecraft thundered off from its Atlantic-side launch pad at Florida’s Cape Canaveral at 20:30:38 UTC on Monday and successfully lifted Dragon into orbit via a 162-second burn of its first stage and six-and-a-half-minute-burn of the second stage. Separation of the Dragon occurred ten minutes and 12 seconds after liftoff into an initial orbit of 204 by 357 Kilometers, inclined 51.64 degrees. As it immediate steps after being set free, Dragon primed its Draco thrusters and deployed its two power-generating solar arrays before heading into a multi-hour checkout sequence. Dragon opened its GNC Bay Door two and a half hours into the flight to begin obtaining navigation data after relying on its inertial platform to keep flying wings-level. 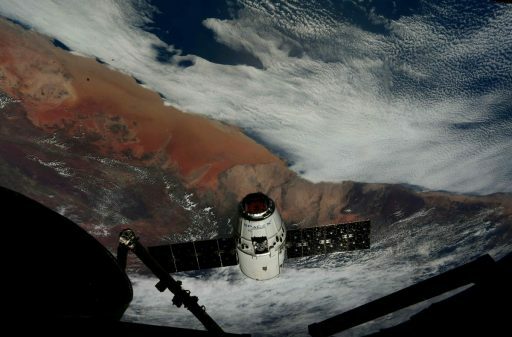 The first major coelliptic burn of the mission occurred around five and a half hours into the flight and lifted Dragon into an orbit of 352 by 359 Kilometers. 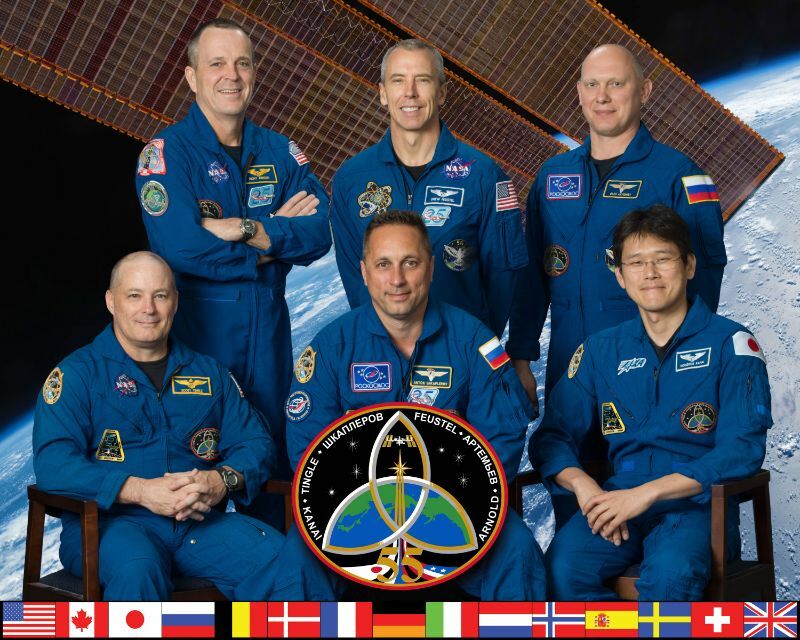 A height-adjust / coelliptic burn pair at mid-day on Tuesday moved Dragon another step closer to the Space Station’s 403 by 406-Kilometer orbit and set the stage for the initiation of the rendezvous. The rendezvous started in earnest at 2 UTC on Wednesday with the HA2/CE2 burn pair taking the Dragon into an orbit 2.5 Kilometers below the Space Station and within the 28-Kilometer communications zone to allow the craft to switch into relative navigation mode. 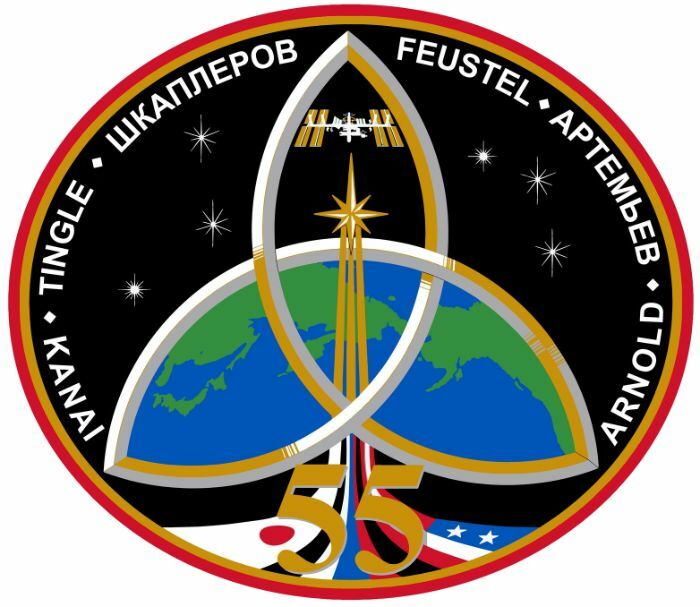 For relative navigation, Dragon receives the GPS position of ISS through the space-to-space UHF link which it then compares to its own position – yielding a more accurate result than with absolute GPS alone. The HA3/CE3 burns put Dragon into an orbit 1.4 Kilometers below ISS, still catching up from behind. The Approach Initiation maneuver at 8:16 UTC transitioned Dragon a point 350 meters directly below the Station where it performed a 180-degree yaw maneuver to enter the proper position for the capture and point its engines to the right direction for a possible abort maneuver on the positive velocity vector of ISS. Having arrived directly below ISS, Dragon coasted up to 250 meters where it held for the transition from relative GPS to its Proximity Navigation Sensors using a LIDAR bouncing lasers off reflectors on ISS and a thermal imager to capture the relative geometry between the approaching spacecraft and ISS. Dragon remained rock-solid as it climbed to 30 meters where it held again to switch the LIDAR into single-reflector mode and complete a final set of checks. Gently firing its thrusters, Dragon took 20 minutes to advance to the Capture Point just 11.4 meters from ISS Structure where it came to a complete hold. On duty inside the Cupola were JAXA Astronaut Norishige Kanai as the prime robotics operator and NASA’s Scott Tingle in a supporting role, commanding the Dragon and handling communications with mission control. Tracking Dragon’s grapple fixture, Kanai aligned the Latching End Effector with the grappling pin before verifying Dragon had entered free drift and pushing in for the capture. 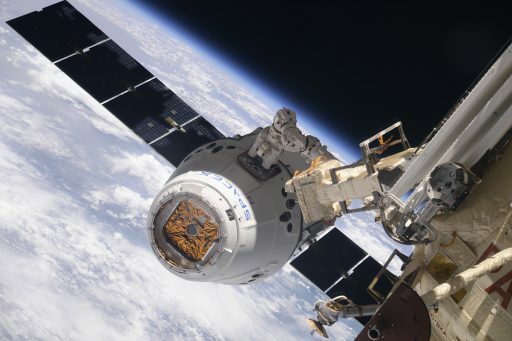 Snares were commanded to close and Canadarm2 was confirmed with a firm grip of Dragon at 10:40 UTC, some 20 minutes ahead of the timeline after an extremely smooth rendezvous. 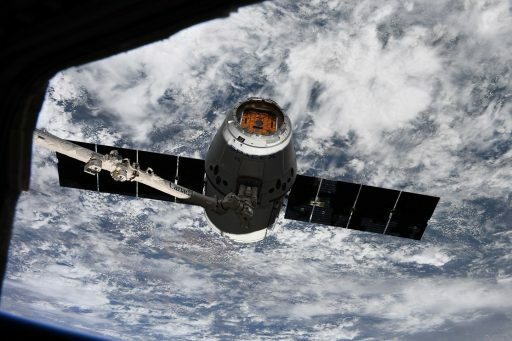 Capture occurred 38 hours and 10 minutes into the CRS-14 mission while Dragon and ISS were flying over the Republic of Congo. 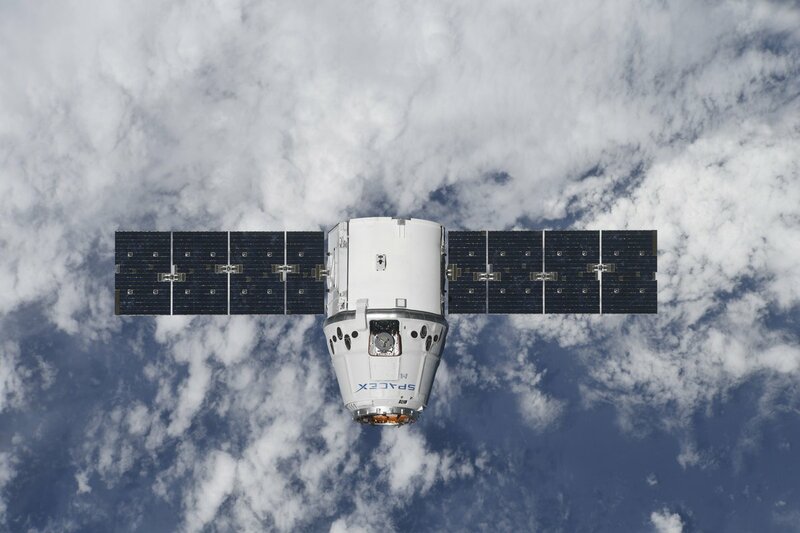 With Dragon successfully tamed, Kanai and Tingle handed robotic duties off to the ground for the berthing procedure that started by maneuvering Dragon around to a standoff position near the Earth-facing port of the Harmony module. After an inspection of the Common Berthing Mechanism for any seal damage or debris, Dragon was maneuvered into position for berthing with the help of the Harmony Centerline Berthing Camera System and four Ready-to-Latch Indicators. With Dragon in position, four capture latches were closed to achieve what is known as first stage capture and allowing the robotic arm to switch into limp-mode to give Dragon some wiggle room to be pulled in when bolts started driving. Four sets of four bolts were driven to tightly secure Dragon with second stage capture confirmed at 13:00 UTC when Dragon officially became part of ISS for its month-long stay. 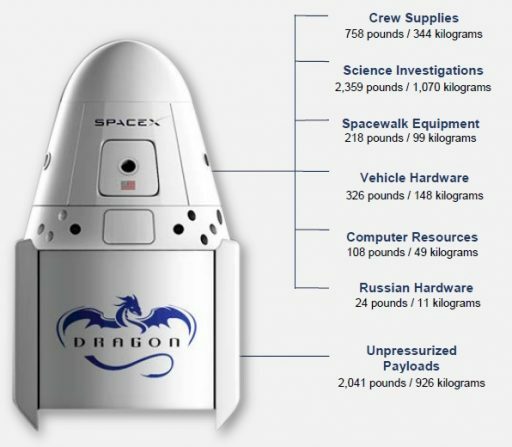 The 14th operational Dragon mission is carrying a total cargo upmass of 2,647 Kilograms, including 1,721 kg of pressurized cargo packed into the Dragon and 926 Kilograms between the three eternal payloads bolted into the Trunk Section of the craft. Cargo items loaded into Dragon range from the seemingly mundane like everyday-life supplies for the crew and a new printer for the Station to state-of-the art experiment facilities, a German time capsule, numerous human research and materials science experiments, as well as live specimens like cell cultures and a group of Japanese lab mice. 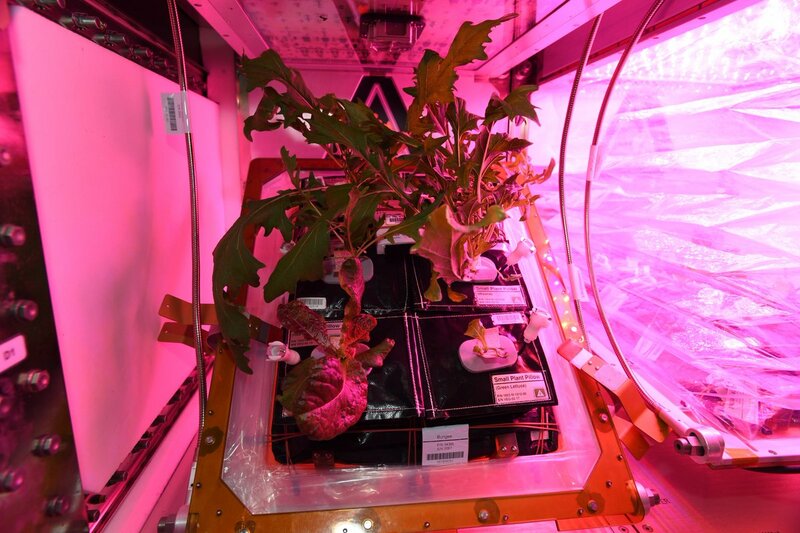 Also riding up on the Dragon is new equipment for the Station’s Veggie facility to test out new watering and nutrient delivery hardware in a bid to increase the harvests of lettuce and other vegetables grown on ISS for crew consumption and a learning curve for future missions. 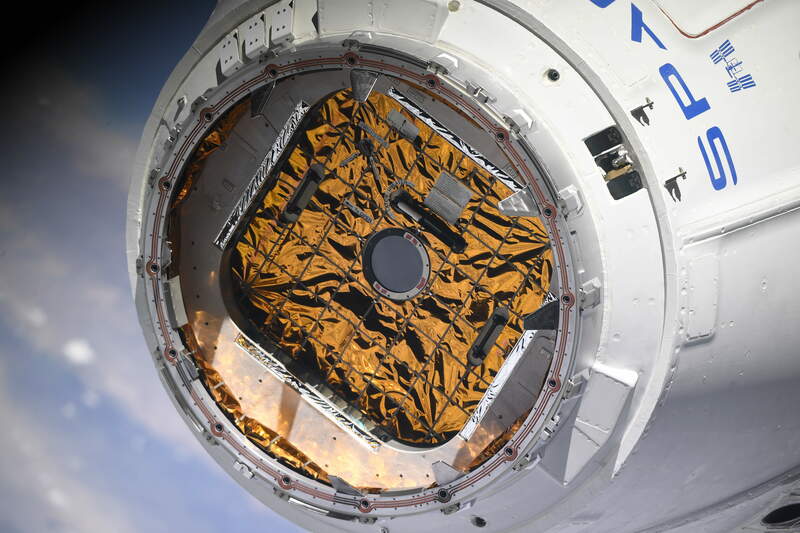 Taking up a large portion of Dragon’s internal volume is the RemoveDebris satellite, the largest and heaviest to be deployed from ISS via the Japanese Airlock. After deployment some weeks after arriving on ISS, the SSTL-built satellite will be setting out on a mission testing tools for active space debris removal including a net capture demonstration, a harpoon mechanism and a vision-based navigation system for approaching uncooperative targets in space.ns actively relying on plant growth as a food source.